We have strongly R&D team and design team to source and make hot fashion material and novelty trims on our product. To ensure high quality performance on product, our professional technicians and talented working team make quality control strictly from raw material sourcing to final production process. Besides our existing products, we welcome OEM & ODM requirement. Your own design will be kept in strict confidence and security. This is our guarantee to respect our valued customer. 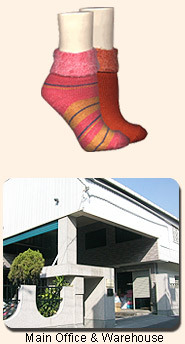 Superior quality with competitive price is our highest principle to serve our valued customer. If you are looking for the superior quality with very competitive price, SMART HOSIERY is the right and trustworthy people you choose. Please feel free to contact us with your any question. Your inquiry will be replied immediately. To ensure your inquiry and order can be processed immediately and exactly, we kindly request you REGISTER the exact contact information when the first time you visit our website. After register, your inquiry will be submitted to our sales team immediately and replied at once. All your information will be kept in strict confidence as our valued customer database.